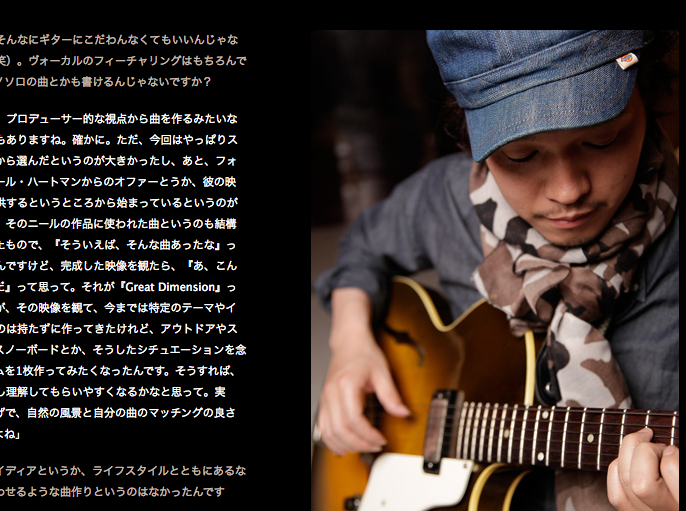 I was just looking around the Honeyee.com website and found that they had done a feature on DSK and his new album that was release last November. Great album filled with cool guitar instrumentals and the booklet and cover is made completely with my photo’s. 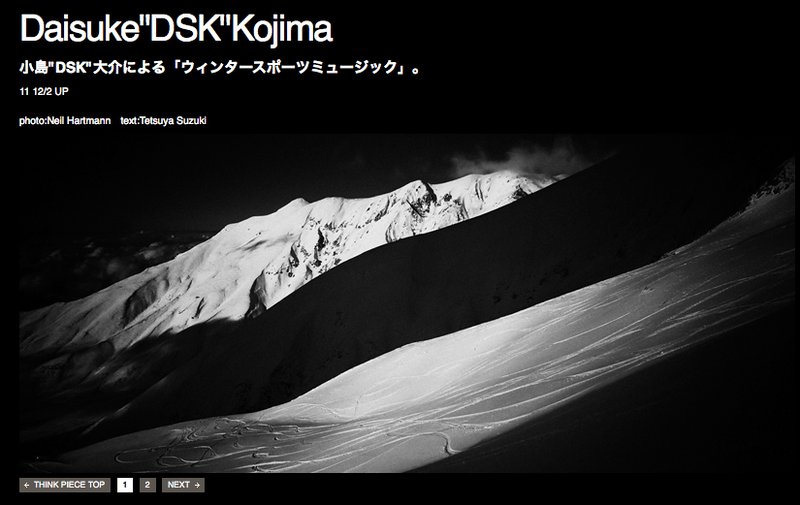 I think I blogged/bragged about it once before when the album came out… Check it out again and if you read Japanese follow the link and read the article with DSK. Oh yeah why not pick up a copy of the CD as well! Thanks! 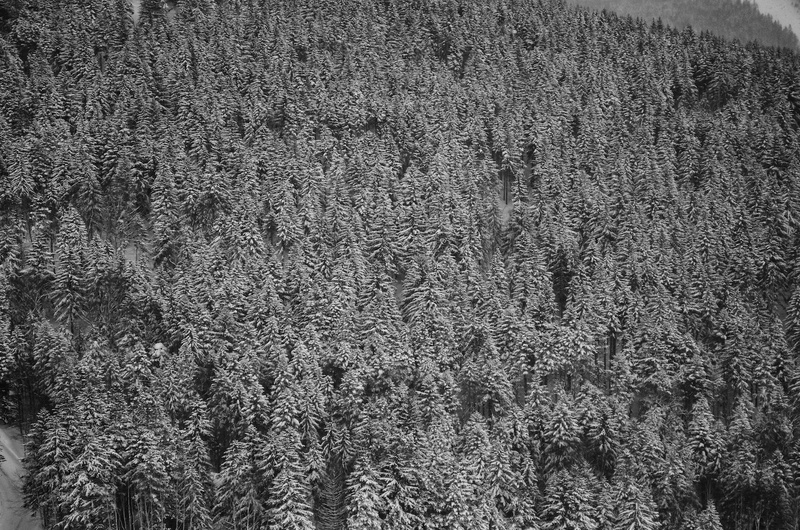 Asahikawa to be specific! 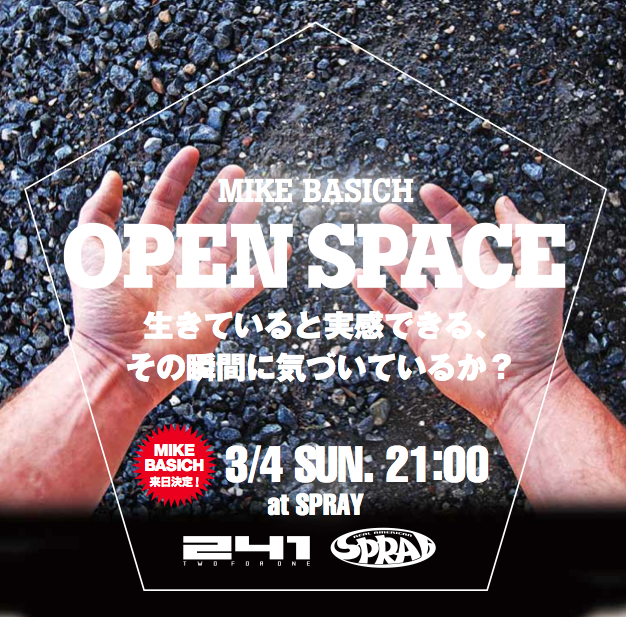 There will be a special one time showing of Mike’s movie, “Open Spaces” a documentary about his life and snowboarding. 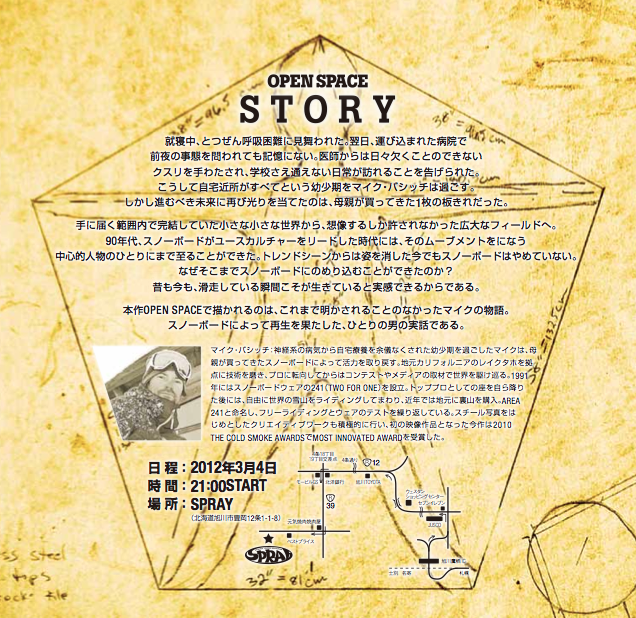 It is a very good film and the man himself we be there to present it so if you are anywhere near Asahikawa on the 4th of March I hope you can visit us. Here is the flyer with more info. 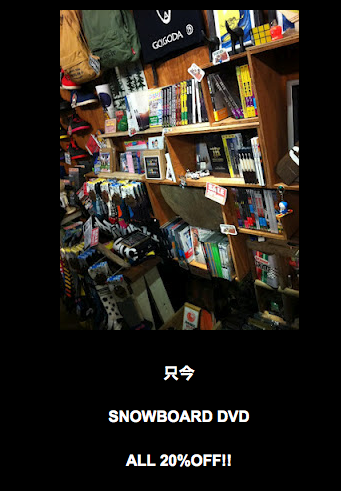 The location is the legendary snowboard shop “Spray” in Asahikawa. 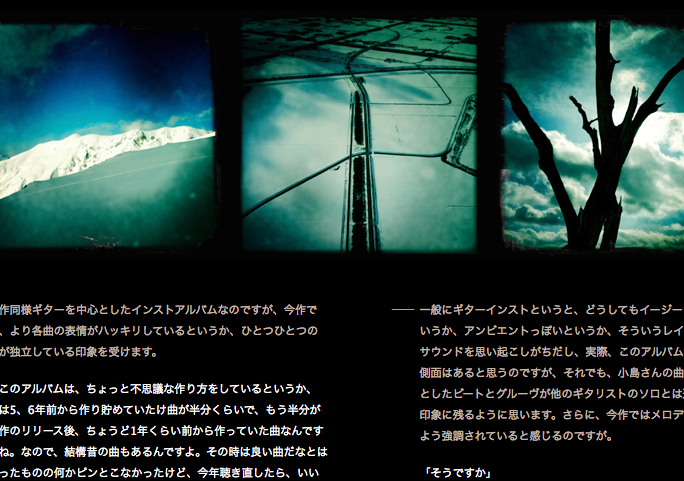 A clip from Shimo’s camera during one of the sunny moment on our tour! 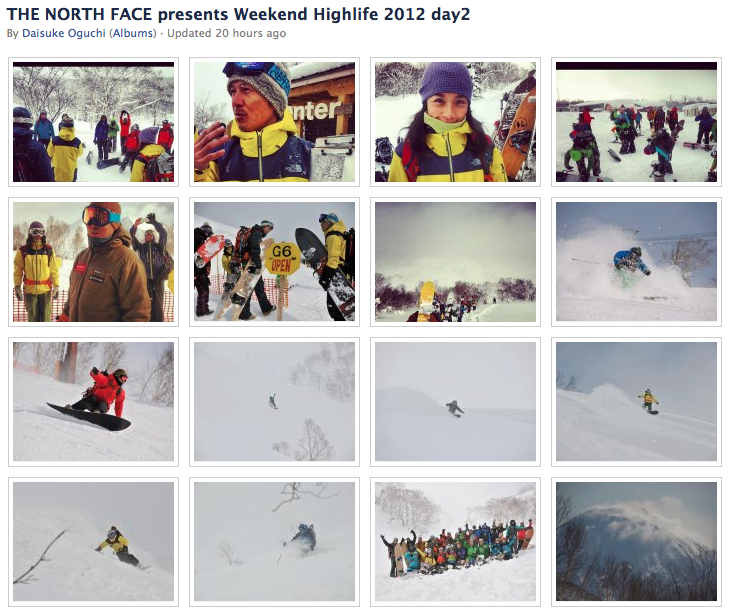 From THE NORTH FACE Facebook page! Another teaser from Super Natural! found this just now on the LibTech vimeo page! 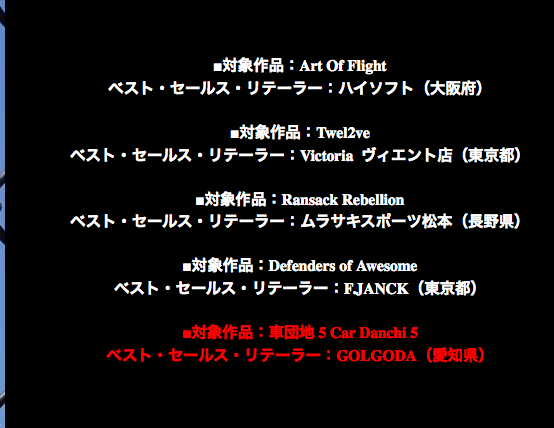 Golgoda store in Nagoya sold more copies of Car Danchi 5 than any other shop in Japan! congratulations to Golgoda and big thanks to the staff for working hard to sell the movie! 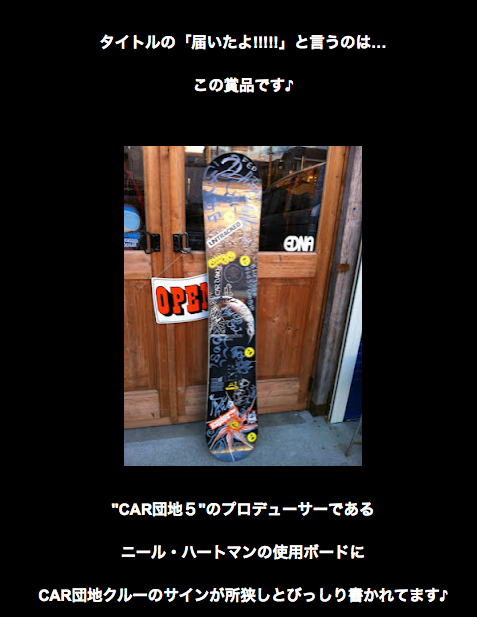 I presented them with a signed board to display in the shop! Here is their blog post about winning the comp!